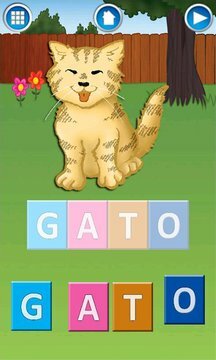 “First Spanish Words Lite” is the first educational application for Windows Phone exclusively in Spanish, that helps children learn the letters, their sounds and names, how they form words and spelling. 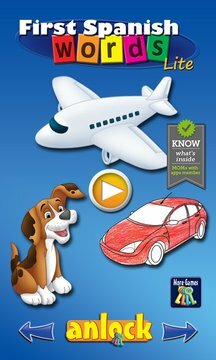 Three full versions are available “First Spanish Words: Learning Animals”, “First Spanish Words: Learning Vehicles” and “First Spanish Words: Learning Shapes and Colors”. “First Spanish Words Lite“ is the first educational application to teach children reading through letter sound (phonics) and letter names that provides the choice between distinción or seseo (differentiated pronunciation of ‹s› and ‹z› or ‹c›) by a simple change in the corresponding button in the settings of the game. ● Learn the names and sounds of letters, words and how to spell. ● Choose between Distinción or Seseo (“theta” or “s”). ● A selection of animals, vehicles and shapes and colors included. ● “First Words: Learning Vehicles” and “First Words: Learning Shapes and Colors” in English, French and German. ● Phonics (letter sounds) now supported!